The sock bun is the latest hairstyle trend and with this crochet bun shaper, it is super simple to create the perfect sock bun. 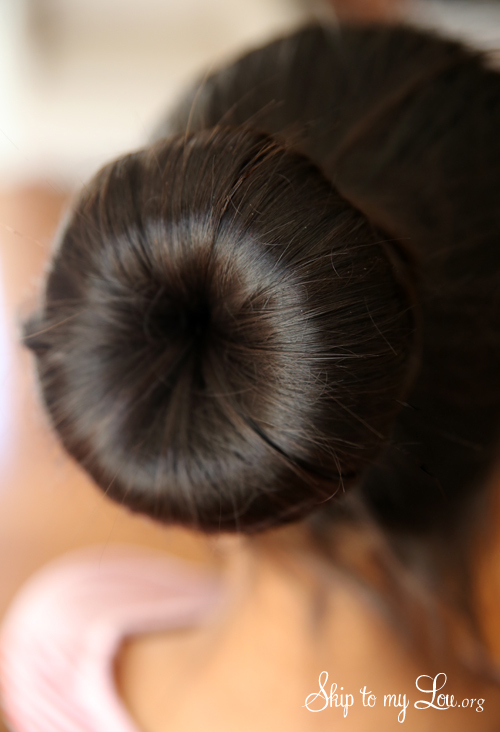 Whether you call it a bun or donut, a DIY sock bun or bun shaper it is a handy tool to easily create beautiful hair buns. A big thank you to Tip Junkie who spent the weekend with us and showed us how cool we could be! We have been having loads of fun creating this hairstyle. 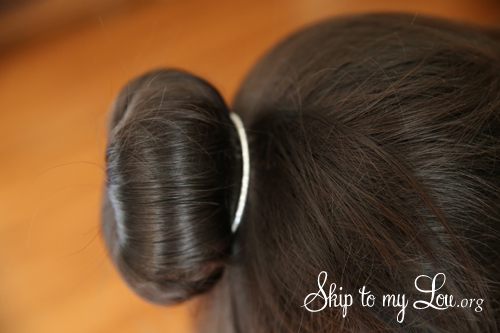 This simple tutorial will show you how to make a sock bun. It is a quick and easy project! 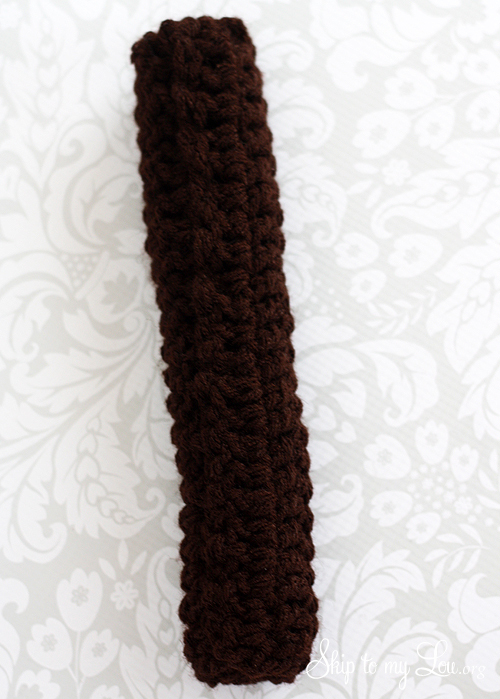 Chain 2 (acts as first double crochet), double crochet in each double crochet across. Repeat until you have 12 rows of double crochets. The size can be adjusted by the amount of stitches. For a smaller hair bun try 20 stitches across. Starting at the chain end, roll it up. 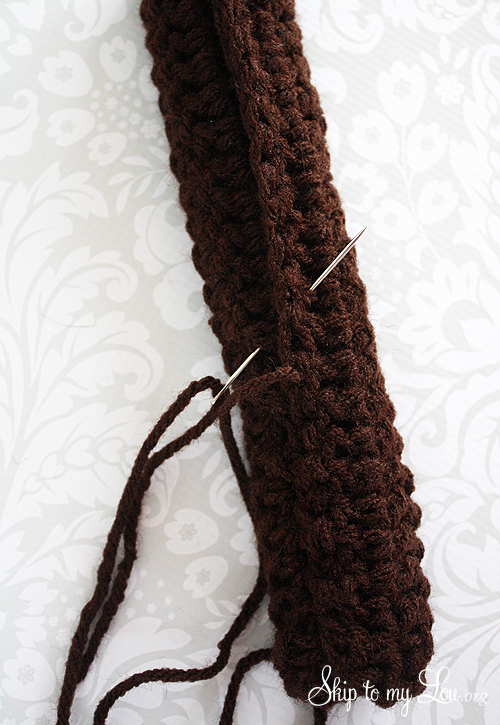 With a tapestry needle close the tube with a whipstitch. There should be a nice long even tube. Bring the ends of the tube together to create a donut shape. Securely whipstitch the ends together. 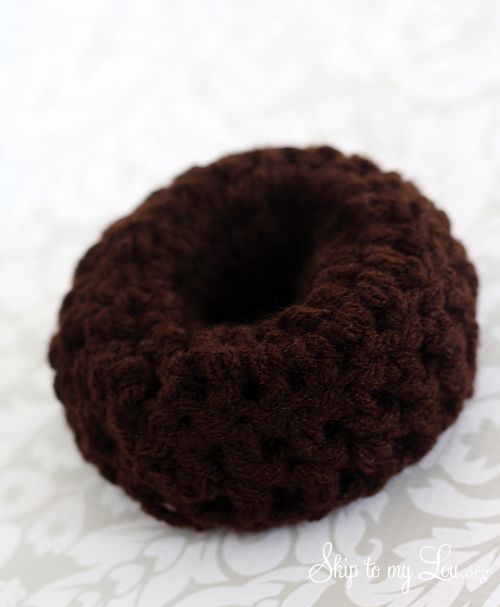 Now let me show you how to make a bun with this crochet bun maker. 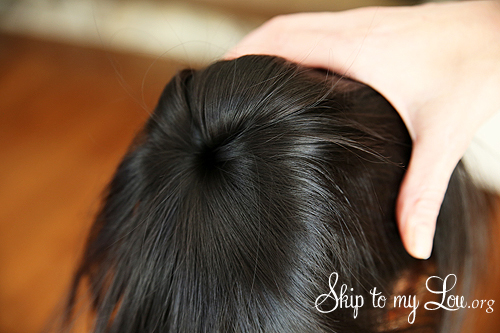 It creates beautiful hair buns! 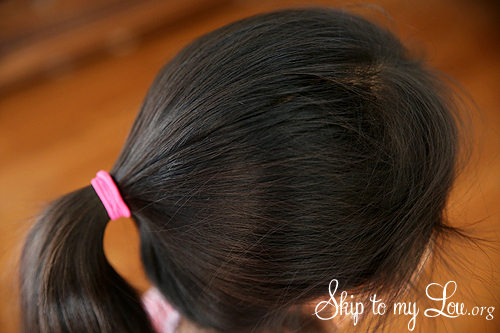 Pull the ponytail through the crochet bun shaper. 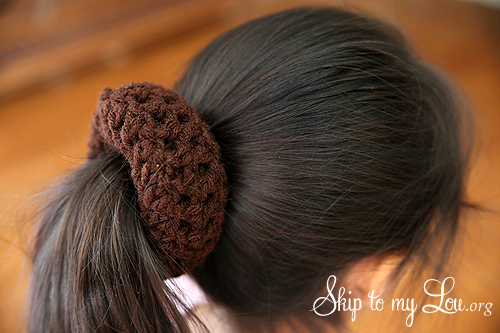 Let hair cover around the crochet bun shaper so it is completely covered. Fasten with an elastic ponytail holder. Bobby pin the loose ends of hair into place around the base of the bun covering the elastic hair band. There you have it a beautiful hair bun! 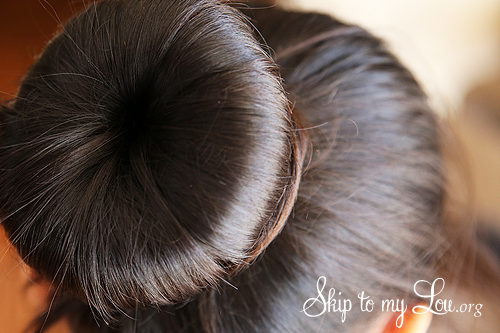 Now you know how to do a sock bun! 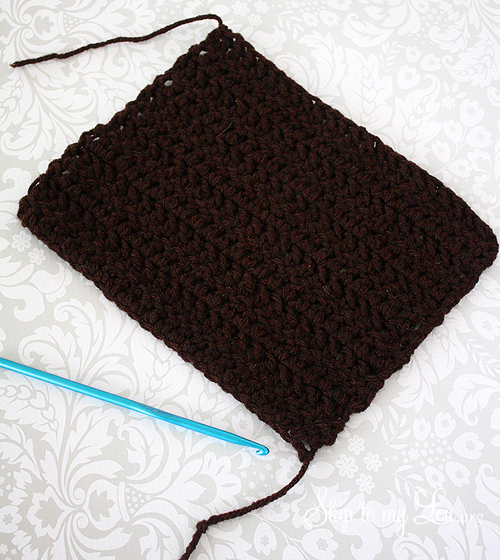 If you love to crochet be sure to check out all the beautiful free crochet patterns. What a clever idea! I would have never thought of this. Thank you for sharing. I saw a friend of mine with the same hairstyle. She said that you inspired her! Oh my this made my day! How beautiful! This makes me wish I could crochet. What sort of tutorials would you recommend? 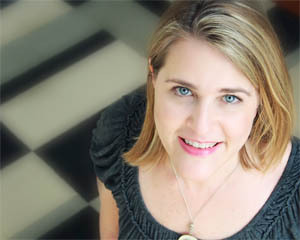 Hi Tess, I found these really simple illustrations http://whimsicalpublishing.ca/2013/03/02/how-to-crochet-free-simple-illustrated-instructions/ This crochet hair bun is really supper simple and a great first project. You just need to make a chain, then you will do double crochets in each chain, then double crochets in each double crochet. I think you can do it! Also Lion Brand Yarn has some great video. Let me know if you have questions.